The all-new series of AO4X ARMPOS comes with unique design and innovative features. 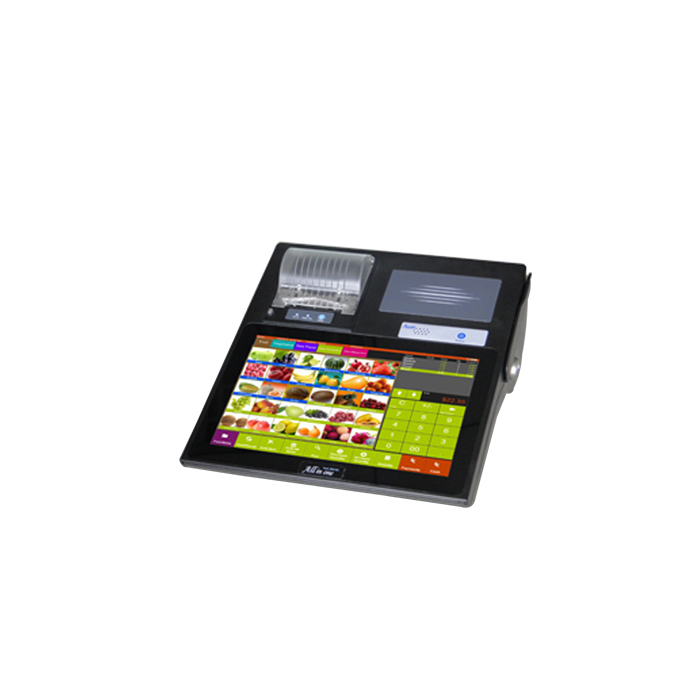 It has 10.1 inches large touch display, 2-line LCD customer display and automatic knife printer pooled with magcard, RFID card and ibutton card reader. Its decent and attractive appearance and latest useful features lets AO4 ARMPOS Series stands among one of the best retail scaling devices. Its major features comprise MSR, NFC/MI card, GPRS/WCDMA module, WIFI, 3Ah UPS and Micro SD as well as it is compatible with WinCE / Linux / Android system. Its latest software lets you perform important data online and offline selling. It also comes with a diversified ports such as 5*USB, 2*RS232, Ethernet and cash drawer port as well as supports TV video connector for advertising purposes. Is the perfect choice which fulfills all your business application demands and extremely convenient for restaurants, superstores, shopping malls, salons and other business sectors as well. It can also visit remote data base by means of web service and canconstruct chain network. It also reduces power consumption up to 1/20 of PC POS frame.